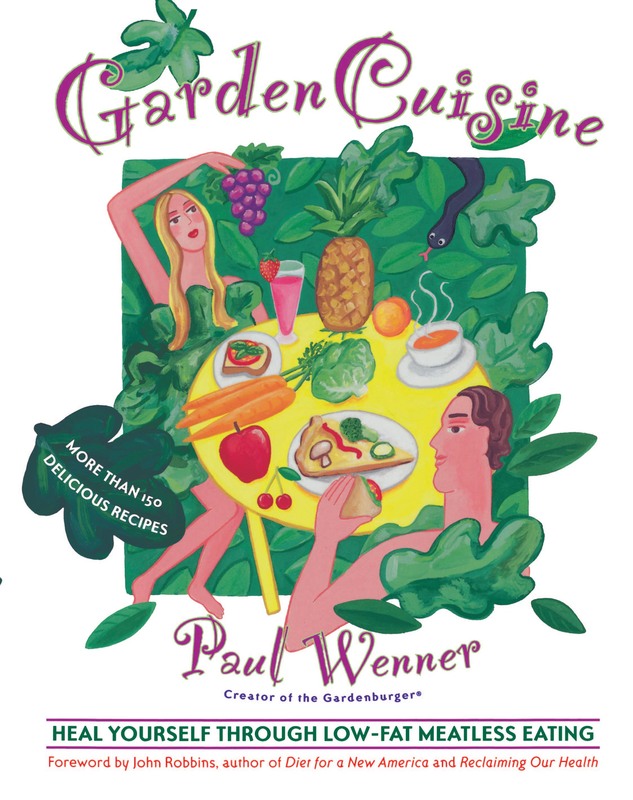 The inventor of the Gardenburger® veggie patty, Paul Wenner knows about delicious, low-fat food, and in GardenCuisine he offers more than 150 sensational recipes for everything from tempting appetizers to sumptuous desserts, all of them as satisfying and high in flavor as they are low in fat and nutritionally sound. Tired of the same old breakfast? Try a Savory Breakfast Sandwich with Fresh Fruit Toss and jump-start your day. Suffering from lunchtime letdown? Pair a Middle Eastern Pita Sandwich with a cup of Carrot Ginger Soup and treat yourself to a square of Spice Cake. Enjoy a glass of Fruity Sangria before dinner, then savor Pan-Roasted Portobello Mushrooms over Broiled Polenta and Healthy Caesar Salad; finish with Mango-Apricot Bread Pudding. Who said good health had to be boring? With complete nutritional information for each recipe, a chapter on nutrition for optimal health, and a 21-day weight-loss program, GardenCuisine will delight everyone from already committed vegetarians to those trying to cut down on animal protein in their diet. Neal Barnard, M.D. author of Food for Life and Eat Well, Live Longer Paul Wenner's creations are healthful and delicious, and yet so simple and practical that anyone can easily make them at home. These recipes will revolutionize our health and will let the Earth breathe a little easier, too. If everyone followed Paul Wenner's healthy example, we doctors would have a lot more time on our hands. Dean Ornish, M.D., author of Eat More, Weigh Less and Dr. Dean Ornish's Program for Reversing Heart Disease I highly recommend this eloquently written and inspiring book to anyone interested in...getting and keeping good health, the real source of wealth and wisdom. John A. McDougal, M.D. author of The McDougall Program for a Healthy Heart Paul Wenner's work has helped millions by making healthy food convenient, familiar, and tasty.